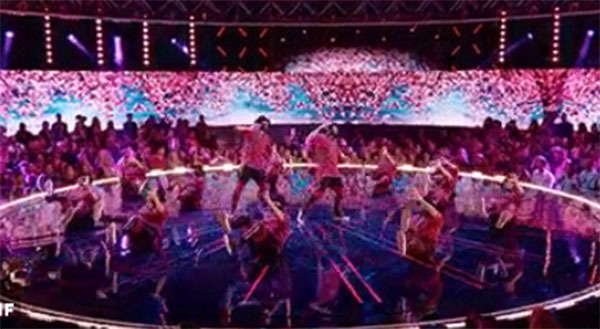 Kinjaz performs Urban Dance to ‘High for This’ by Ellie Goulding on World of Dance Premiere Episode on Tuesday, May 30, 2017. “The opening was like a movie. Every cool, every movement was intended. So good,” said Derek. “You guys come out here and made fingers like this,” said Ne-Yo. “It’s just wasn’t for me… I want more. It was so good,” said Jennifer Lopez. Kinjaz get a total score of — percent. They are moving to the next round of competition. What can you say about Kinjaz’s performance on World of Dance Premiere? Share your thoughts and views on the discussion box below.